Just because you're trash that doesn't mean you can't do great things. It's called garbage can, not garbage can't. 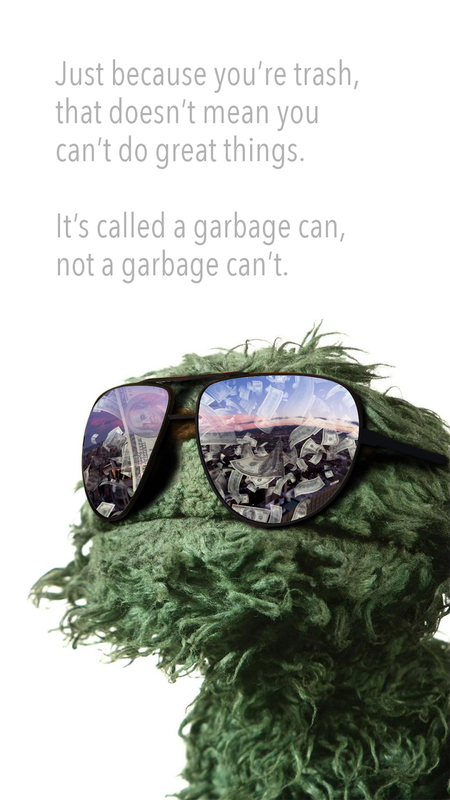 Funny Oscar inspirational meme.